The cost to remove existing siding before replacement siding can go up is typically more expensive than most consumers think. It can be hard to estimate the cost due to the fact that it is often times part of the project bid and not separated out in a line item. However, most contractors will provide the specific cost to consumers who request that they do so. The basic process requires the contractor and his team to pry off or scrape off the existing siding. Shakes and shingles are typically scraped off, using ladders or scaffolding to reach high up and hard-to-reach locations. Lap or horizontal siding boards will typically be pried off and placed in a dumpster or other container, along with the nails and any other materials that are being removed from the home. Once all of the boards etc. are removed, the team will then dispose of the material at the local dump, which can be expensive due to the weight of the load. The contractor and his team are then required to do any of the prep work that is necessary to the walls in order to make sure that their watertight and ready for the new siding material. This may or may not be part of the siding removal cost, consumer should always ask the contractor where this is in the line item bid. 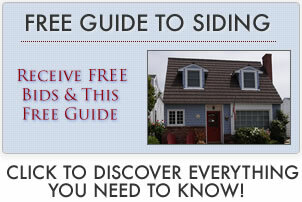 In general, siding removal costs run one dollar to three dollars per square foot. Consumer should note that siding removal costs are actually one place where you can really compare siding bids and use it to negotiate for a better price. For instance, if one contractor charges $1.50 per square foot for siding removal and the next contractor charges $2.50, but you like the second contractor better than the first, you can take the bid back to that second contractor and tell them that you are willing to go with them if they drop the price to match the removal price of the first contractor. Many times, this is an excellent way to save some real money and it doesn’t put a lot of pressure on the consumer because you are simply asking for them to price match.